The Shelby namesake has been synonymous with performance, style, and refinement for decades. This 2014 Ford Mustang Shelby GT500, equipped with every single desirable option, is one of only 614 painted in Ruby Red Metallic. Traveling a mere 15,108 miles since new, this GT500 presents handsomely, with loving care quite obvious. The for-2014-only Ruby Red Metallic paint is searing and a wonderful contrast to the anthracite SVT, aluminum wheels. Further equipped with the unique glass roof, occupants are given a more spacious, "open" feel over the traditional "slicktop" design. As Shelby enthusiasts will tell, the tremendous 5.8L V8, which produces a staggering 662hp, was only available for two years, ending in 2014. In keeping with its performance roots, this GT500 is equipped with the 821A SVT Performance Package and then further with the SVT Track Package! The former offers the unique, SVT wheels, Billstein/SVT suspension, as well as a Torsen limited slip differential. While the latter further equips a differential cooler, oil-to-air engine cooler, and heavy duty transmission cooler, creating a poised and capable machine. Proving to be a future classic, these are the options that collectors and enthusiasts alike must have. While an enthusiast is sure to love this Shelby's performance equipment and options, the interior is refined and perfect for even the most formal of occasions. Featuring the desirable Electronics Package, the addition of dual-zone climate control, HD/Satellite Radio, and voice-activated navigation allow for the utmost comfort. The supple leathers adorning the Recaro seats show virtually no wear and offers an excellent balance for spirited driving and long, road trips. For audiophiles, the 7-speaker Shaker Pro audio system provides crisp listening that even the keenest of ear will be sure to enjoy. This 2014 Shelby GT500 is one of the best equipped examples currently available. Featuring a jaw-dropping option list, rare paint code, and the sacred 662hp 5.8L V8, this GT500 was ordered with the intention of being a pinnacle of Shelby/SVT excellence. 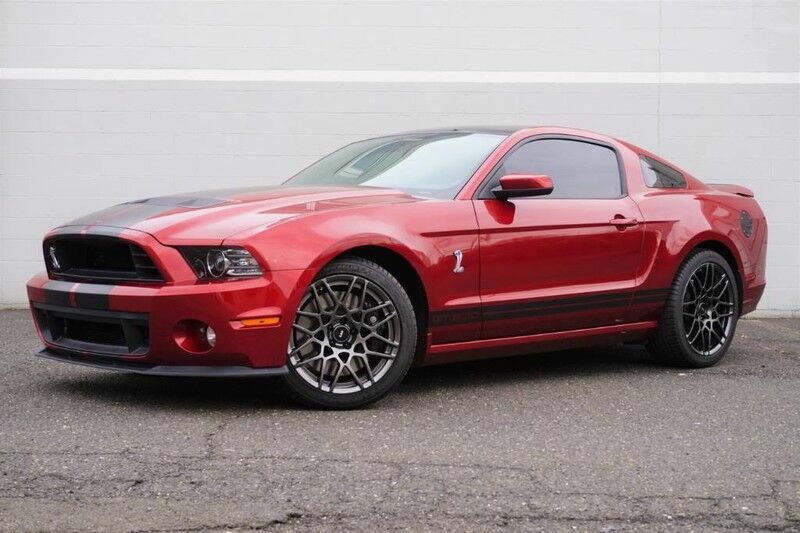 Do not miss your opportunity to become the lucky pilot of this rare 2014 Shelby GT500 and call today!